The black mother of pearl in this unique necklace in our Hearts Collection has the raw and organic feel of our very emotions. Being vulnerable, it finds its power. The surprising depth of the piece takes it to a new level of beauty! 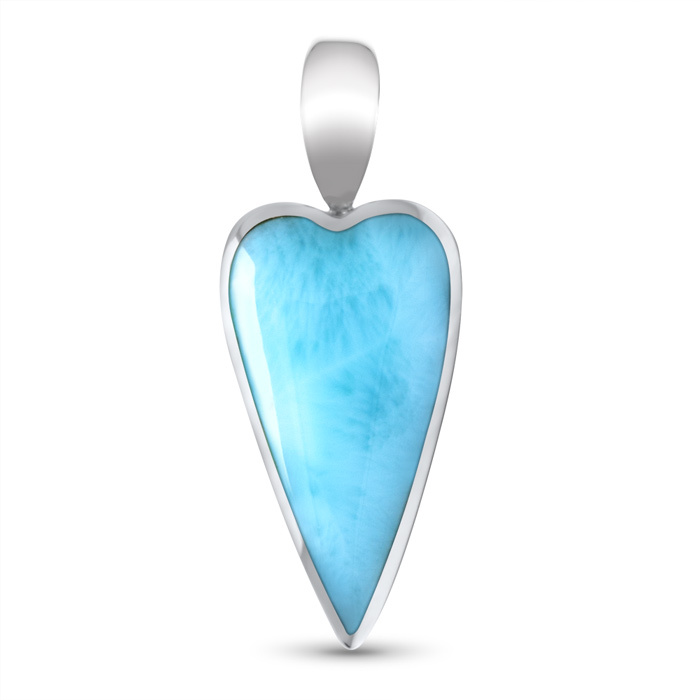 Product Details: 9x20mm larimar gemstone with black mother of pearl and sterling silver. Overall size is 10x27mm. Comes with adjustable 21” sterling silver chain with an easy, sliding mechanism and lobster clasp that you can set to the perfect length for your look!